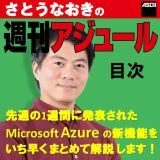 Windows Azure Connect – The Windows Azure Connect preview is being retired June 30. Please transition to site-to-site or point-to-site VPNs. For more information see this Connect article.